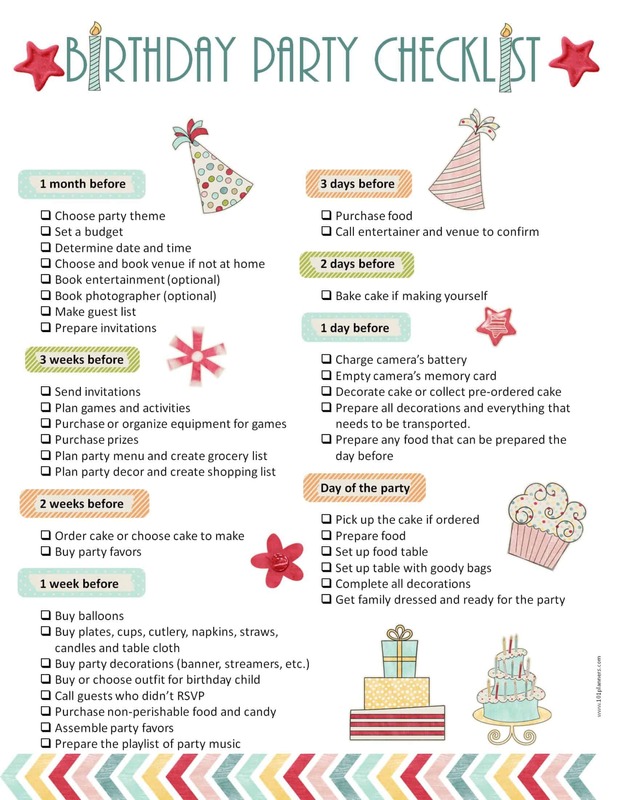 Our free printable party planning template will ensure that you don’t forget anything when planning the perfect birthday party for your child. 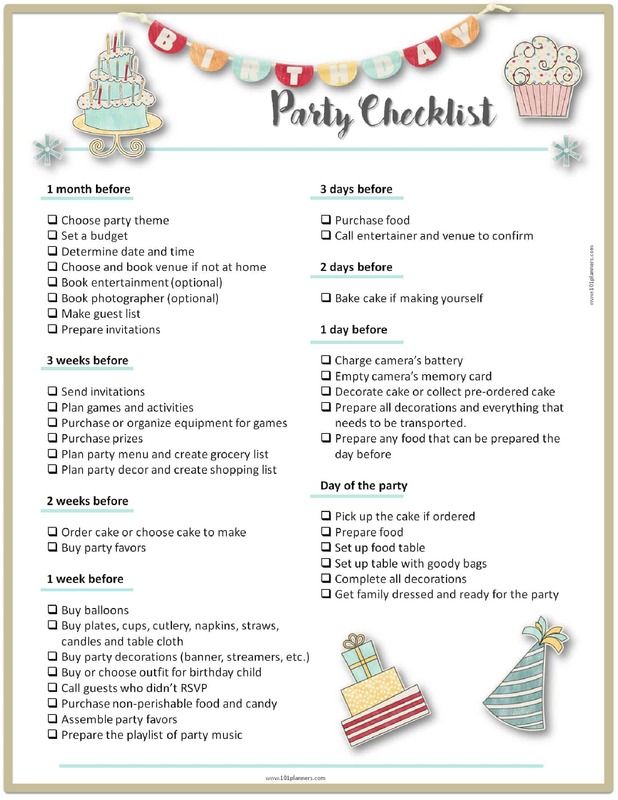 Click on a birthday party checklist below to open and print. 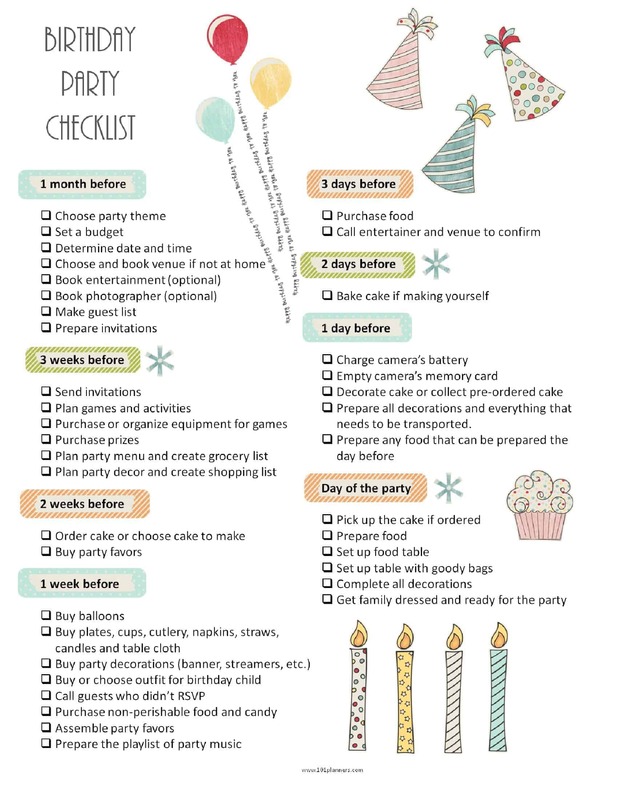 This party planner checklist is a little more colorful than the rest. Another birthday party planner. 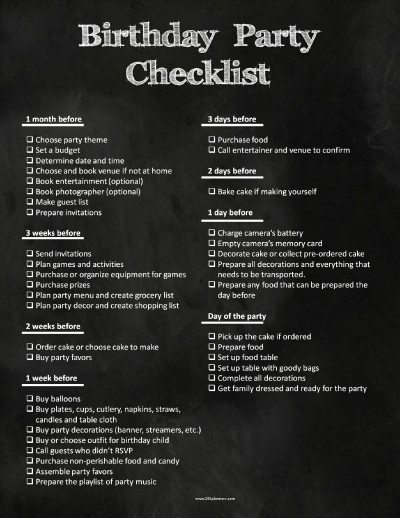 Please note that the actual checklist is the same on all planners and only the design changes. Even though this is a kids birthday party checklist we are assuming that an adult is doing the planning so this checklist was designed for you and not for your child! 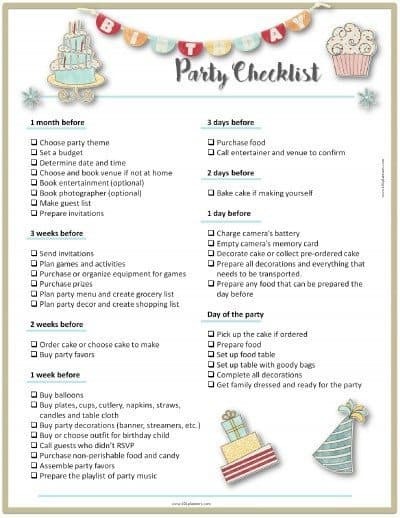 Feel free to change the party planner template to suit your needs. 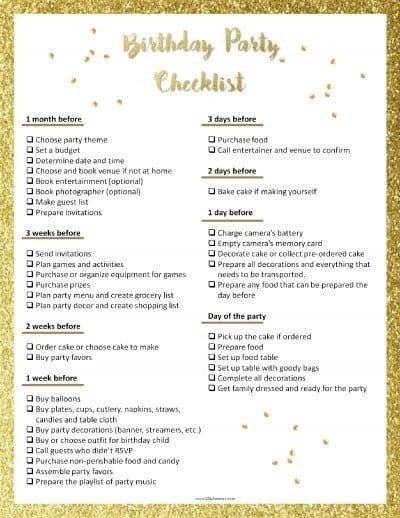 You can add additional bullet points before you print. 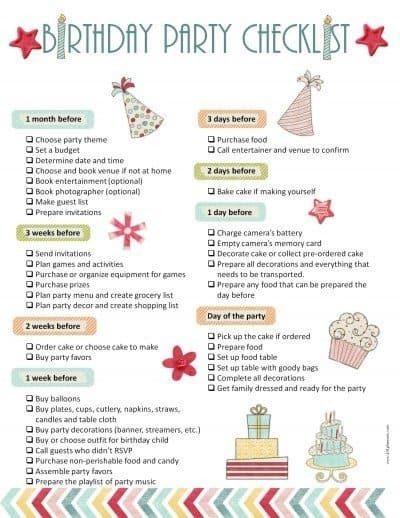 If you want to start planning earlier or later then just adjust the dates. If you need a birthday list then check out the coordinating designs!